Benchmark Series Dining Tables. 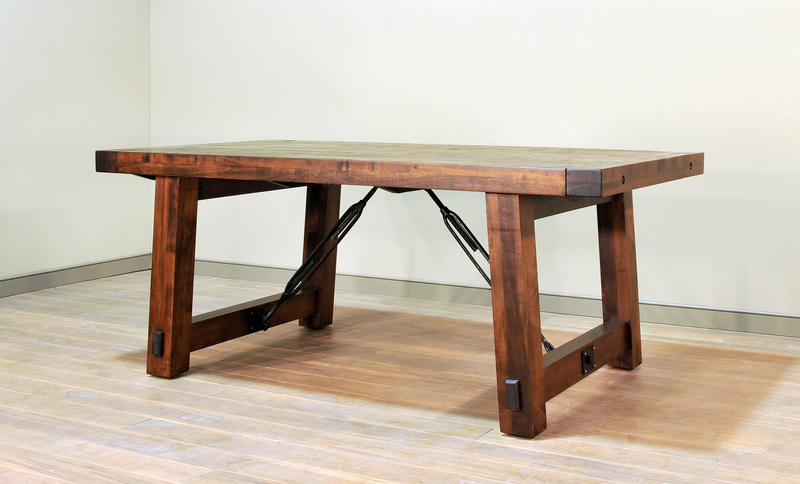 Solid wormy maple table series has 3" top, 4" canted legs with tenon accents and distinctive turnbuckles. Table comes standard without leaves. End extensions are available in all sizes and are 18" on each end. Tables with extensions can be selected on the 2nd half of the "Size" option list. Choose from any of the different Schlabach Stains.